(Montana Free Press) Despite a new hurdle a federal judge in Texas presented earlier this month to the national health care law, key architects of a forthcoming bill to renew Medicaid expansion in Montana said they plan to forge ahead. In a Dec. 14 ruling, U.S. District Judge Reed O’Connor said the Affordable Care Act is unconstitutional. The decision came after 18 Republican state attorneys general and two Republican governors filed a lawsuit challenging key provisions of the ACA, also called Obamacare. The plaintiff states claimed the GOP 2017 tax bill shatters the law’s legal foundation since it eliminates tax penalties for individuals who do not enroll in health care coverage. The ruling is on hold during the appeals process, which could send former President Barack Obama’s signature legislative achievement back to the U.S. Supreme Court. The nation’s high court previously upheld Obamacare, ruling the individual mandate penalty was a tax and, therefore, constitutional under the authority of Congress. While Judge O’Connor’s decision winds its way through the federal appellate courts, the ACA remains in effect. The ACA enables states to expand Medicaid coverage if state lawmakers choose to do so. 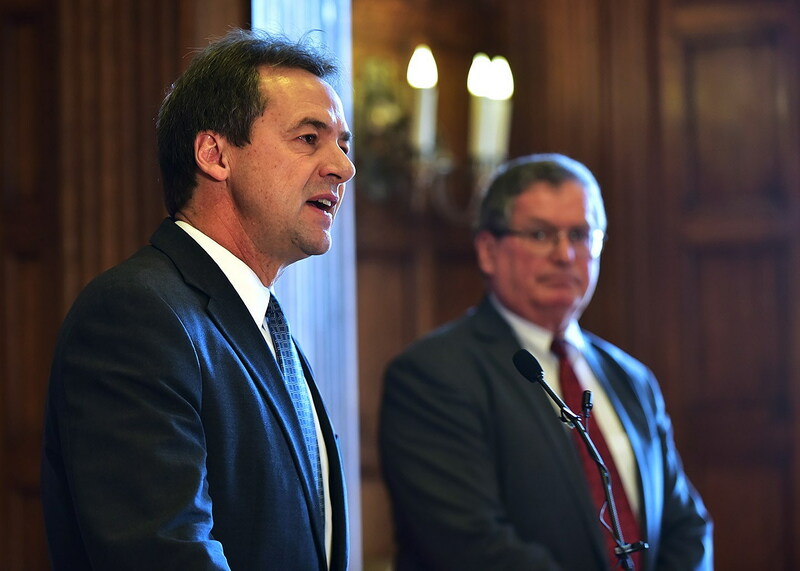 Montana’s 2015 Medicaid expansion, known as the HELP Act, is set to sunset in 2019. An estimated 96,000 low-income Montanans currently have health coverage through the HELP Act, but the Montana law sunsets after June 30, 2019. Rep.-elect Ed Buttrey, R-Great Falls, said the Texas judge’s decision will have little impact on Montana lawmakers’ negotiations this session to renew Medicaid expansion. The 5th U.S. Circuit Court of Appeals first needs to consider the ACA case before it reaches the U.S. Supreme Court. Buttrey said that will likely happen long after the 2019 legislative session ends — October 2019, at the earliest, according to reporting by the Washington Post. “If ACA goes away, our [expansion] law would be repealed and replaced with something,” Buttrey said. Buttrey did not indicate what a replacement health care law would look like for Montana, but downplayed concerns that Obamacare would be categorically struck down. Montana Attorney General Tim Fox did not join the 20 GOP-led states in the ACA suit, citing the case’s far-reaching implications. “Our legal analysis of Texas’s lawsuit concluded that, while we believed the individual mandate was unconstitutional, other important provisions of the ACA — such as coverage for pre-existing conditions and coverage for the insured’s children up to age 26 — were severable and should survive the lawsuit,” Fox’s spokesman, John Barnes, said. A group of moderate GOP lawmakers is currently working with Democrats to make Medicaid expansion permanent in Montana. Some of those lawmakers said the court decision won’t distract them from that goal. But the legislature’s various factions need to find a workable compromise. Thomas said he has yet to take a position on how to resolve future Medicaid expansion in Montana. While Buttrey said he personally doubts lawmakers on the federal level will abandon the ACA, he argued the “one-size-fits-all” federal solution to the health care law isn’t working, and states need the flexibility to rework some of its provisions. “I think everyone realizes there needs to be a better plan,” he said. Contact Leia Larson at llarsen@mtfp.orgor (406) 465-3386. This story originally appeared online at Montana Free Press.